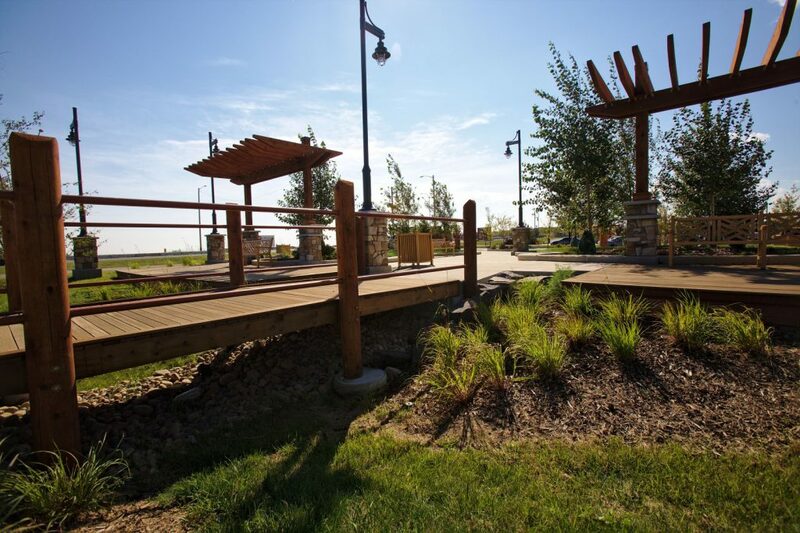 Auburn Station – Alpha Better Landscaping Inc.
Nestled in the new development of Auburn Bay in South East Calgary, Auburn Station creates an assembly point for residents of the community to gather and enjoy the superbly designed and landscaped area. 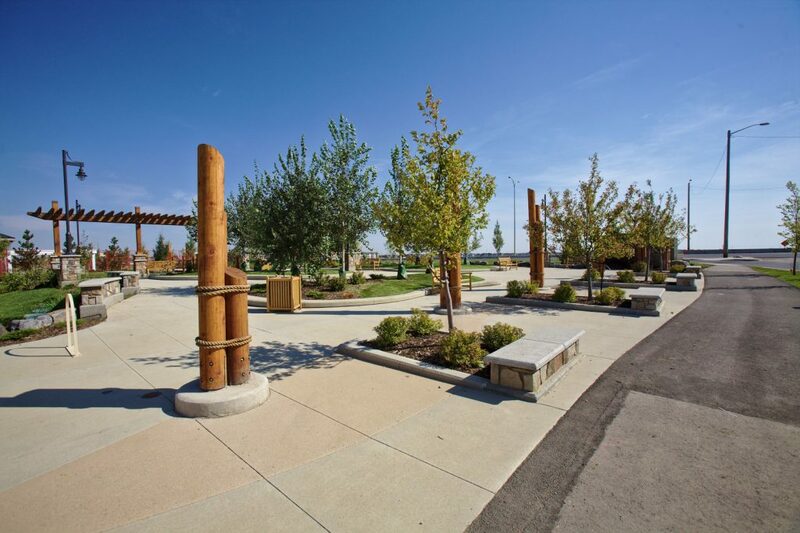 Constructed and completed in the fall of 2015 for Brookfield Residential, the park incorporates green infrastructure, woodwork, and concrete flatwork. 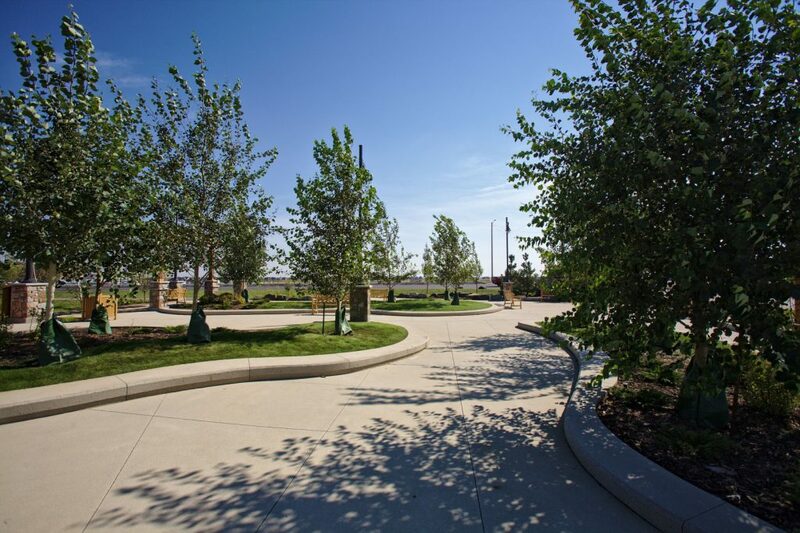 Looking ahead, the park will also be highly utilized as a future LRT waiting area. Auburn Station encompasses numerous seating walls, benches, and rock walls, providing the public with areas to sit and enjoy the surrounding environment. Throughout the seating areas prairie hardy trees, shrubs, and grasses were planted in concrete planters to bring color, depth and soften the adjoining concrete. 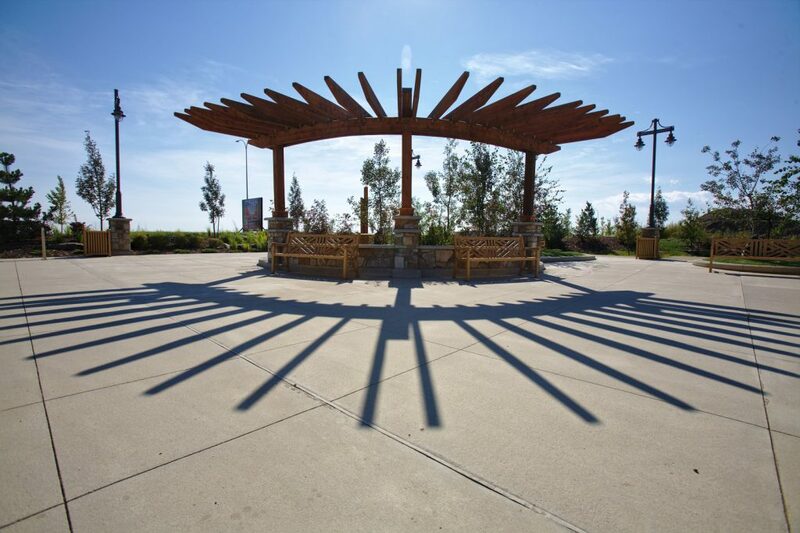 Timber accent posts, numerous trellis’, and a footbridge demonstrate the “lake living” theme that Auburn Bay embraces.